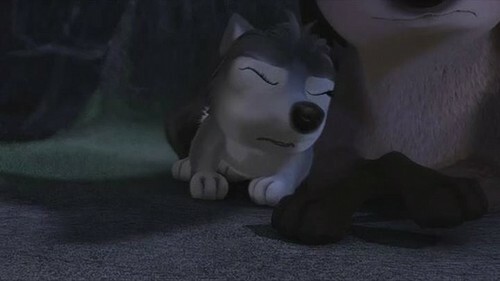 runt is soooooooo cute. . Wallpaper and background images in the Alpha and Omega 2: a howl-iday adventure club tagged: photo. This Alpha and Omega 2: a howl-iday adventure photo might contain tom, pusang lalaki, kuting, Kitty, cat, and tunay cat. That look on Princess's lips looks like she doesn't enjoy that.